They are here! We had been looking for unique and great looking travel mugs for our customers for a while and here they are. They work very well and they are stylin’! 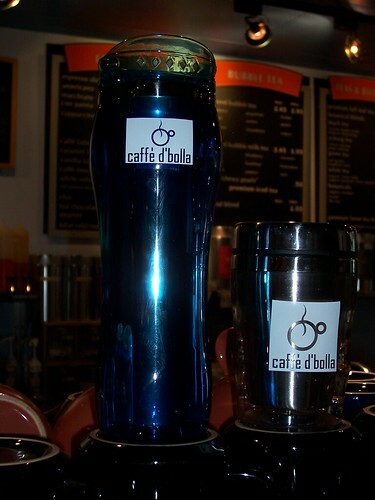 Receive 5% off when you get your drinks in these awesome caffe d’bolla cups! * Be cool. Be hot. Save trees. Save money. ENJOY!